Little People, Big Dreams is a popular series imported from Spain where readers "discover the lives of outstanding people from designers and artists to scientists. All of them went on to achieve incredible things, yet all of them began life as a little child with a dream. " I wasn't all that impressed by this one. It didn't seem to do a good job of making me care for Vivienne Westwood's accomplishments. The books include a timeline and photos. 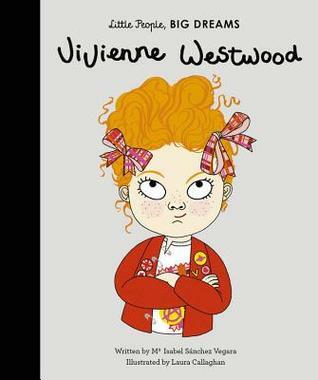 Sign into Goodreads to see if any of your friends have read Vivienne Westwood.